Back on the Market!! 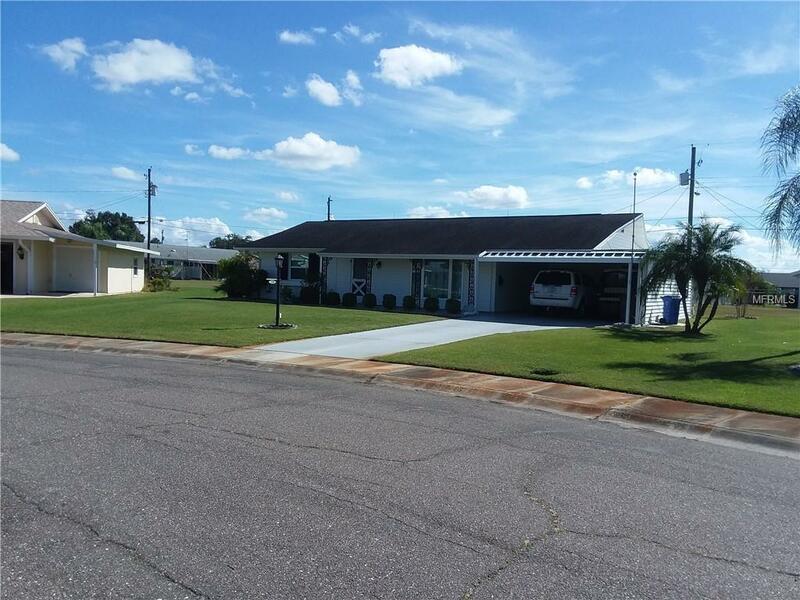 Nicely maintained 2 bedroom 2 bath unit with no HOA fees. A/C and electrical box have recently been replaced. See list of all the improvements in the past 2 years. Cul-de-sac. Large back yard in an area that does allow fencing. Carport is 1 1/2 that accommodates a golf cart. Located in the amazing community of Sun City Center, and whether you are on the go 24/7 or relax at home, this is the best of FL living. Golf carts are used as second cars and activities abound. Choose from numerous golf courses with separate membership or pay as you play at the public ones. Fitness Center, indoor and outdoor pools, all sports, over 200 clubs and so much more. Tampa, Sarasota and St. Petersburg award winning beaches, professional sporting and cultural events are close at hand. The magic of Orlando is a mere 90 miles away! $288/ per person fee and Capital Fund Fee of $1800 paid by Buyers at closing to Sun City Center Community Association. Come take a look at this one. You will not be disappointed.